Value, and Service! A-Rated With The BETTER BUSINESS BREAU. Serving The Inland Empire Since 1999 Family Owned And Operated. California Contractors License: 839215 UNBLEMISHED! Call Today and Get The Value and get Service You Deserve! out and keeping warm air from escaping during winter months. your desired look and style in a timely manner. Call Now and Get The Value and Service You Need! 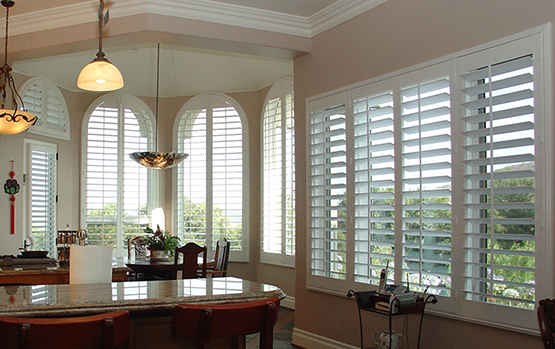 Inland Empire window shutters, blinds, and shades. When making a decision about your window coverings we make your budget our top priority. We have many money saving ideas to complete your desired look. It is possible to cut back on costs without cutting back on personal style. California Window Fashion will meet or beat another company’s offer. Not only will you be backed by the manufacturer’s product guarantee, but we will back our installation services for one year. Your satisfaction is our number one priority. Whether you’re located in Temecula, La Cresta, or right here in Murrieta, California Window Fashion has the best value for Inland Empire Window shutters and blinds. We’re your answer to all your custom window coverings. Over Years 18 of Experience Serving The Inland Empire. California Window Fashion is your gateway to the best window shutters, blinds, and shades from the leading manufacturers in the industry. Our showroom is personally delivered to your doorstep accompanied by years of knowledge and installation expertise. We pride ourselves on the quality of care towards each of our customers in addition to the installation of products in your home. Starting out as a contractor in 1999, years of on the job training and customer satisfaction moved us from San Jacinto to owning our own company, California Window Fashion in Murrieta, CA in 2003. The father-son team continues to work as consultants and installers for this locally run and operated business. Servicing Murrieta, Temecula, Wildomar and many other surrounding areas, California Window Fashion continues to make a name for itself with a focus on impeccable customer satisfaction. Quality work and money saving ideas continue to make window fashion affordable solution for Inland Empire window shutters, blinds, and shades. Our premier customer service sets us apart from the rest. We bring our showroom to your doorstep. Get a free estimate and in-home consultation for your Inland Empire window shutters, using quality manufacturer’s samples of window shutters, blinds, and shades. Experience has taught us that the best place to choose color schemes and accent styles for your windows is right in your home. Place the color samples on your furniture or against the wall for the perfect match to any room decor. Your window is the best example to select materials for different lighting options. California Window Fashion is serious about a customer’s investment in their home. Creating stylish window coverings to accent a home’s decor exemplifies our investment towards each customer. We specialize in shutter installation, having equipped many Southern California homes with the latest in wood varieties, but we pride ourselves on our finest specialty, customer satisfaction. We offer products from local California companies as well as those located nationwide. Select your window shutters, shades, and blinds from prominent window fashion manufacturers like Hunter Douglas, Norman, Century Blinds, Skandia and many others. We offer our customers the finest selections in window shutters, shades blinds, shutters, valances, and cornices. If you live in Wine Country, Temecula, Murrieta, or La Cresta and need custom window coverings to filter the morning sun, California Window Fashion will provide the perfect lighting management options to your decor. Motorized shades for hard to reach windows or cellular shades which create additional insulation, we are your professional installation team. Window coverings are also great at saving on energy costs. From wood shutters to Vienna blinds, we stand behind our work and will stand behind our installation services. Customer care is our number one priority. No one will care how great your products are until they know how much we care about our customers. I was referred to Jim at California Window Fashions by a friend. He didn’t let me down! I found Jim to be the consummate professional. He took care of all of the technical aspects while still being in tune with my design wishes. In fact, he treated me like a family member. Installation was fast and my window coverings look lovely. The sales staff made recommendations that I hadn’t even considered, and I’m most pleased with the results. 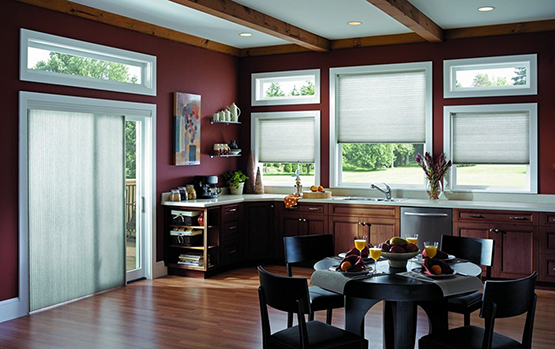 After sale service and follow up is also a refreshing aspect of California Window Fashions. I’m pleased to find that there are still companies around who care long after the sale is made! We would like to take this opportunity to recommend “California Window Fashions” (Mr. Jim LaRue) on his honest, professional, and courteous manner of business. He also completed all of our work on time and in a clean manner. We are very happy with our Woven Woods, Plantation Shutters, and other custom window treatments. Thank you for making our house a warm home. 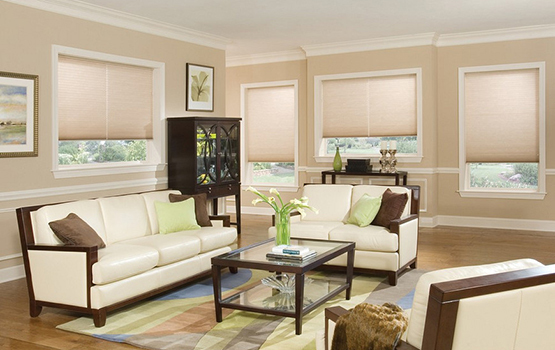 California Window Fashions is one of our favorite vendors. They are responsive, reliable and a true pleasure to do business with. You can count on them to see a project through to completion with a smile to boot.